As the president and CEO of Unitus Community Credit Union, Lake Oswego resident Steven Stapp helps thousands of American credit union members save and invest. About half of credit union activity worldwide takes place in the United States, he says. But Stapp plays an even bigger role in the credit union community, one that provides financial support to 89,000 credit unions in 117 countries with 260 million members. 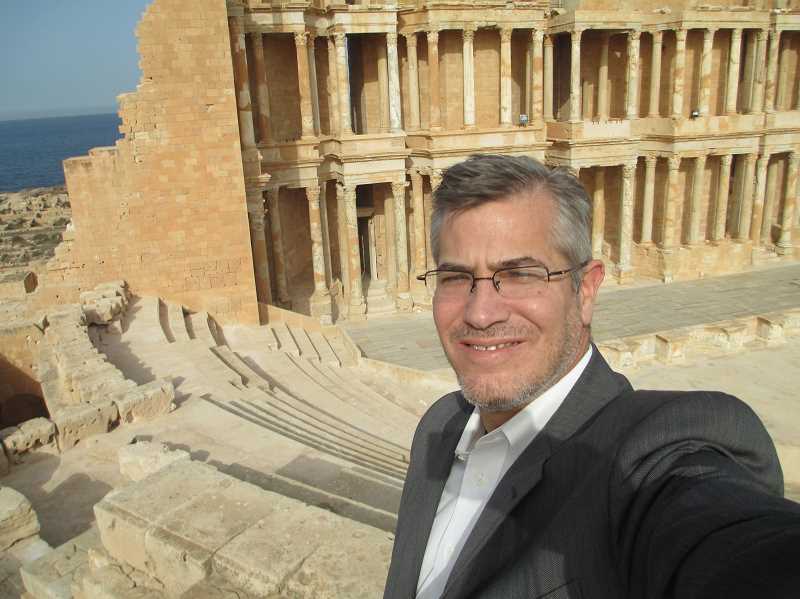 In 2018, he was elected chair of the World Council of Credit Unions Board of Directors and now spends 90 days a year traveling to dozens of countries around the world. One of the council's missions, he says, is to provide access to capital and extend other financial opportunities to people in developing countries; already, new credit union systems have been established in Kenya, Guatemala, Haiti, Ukraine and Colombia, with projects underway that range from economic support and housing development to financial inclusion. "What I really get excited about is seeing that individual who gets access to being able to save money, access to loans to build their families, send their kids to school, establish industry," says Stapp, who moved to Lake Oswego with his family two years ago from the San Francisco Bay area. "Financial prosperity is what everyone is looking for." Stapp's global efforts began about 10 years ago when he helped the Ecuadorian city of Paute establish credit unions so that citizens could effectively pool resources while recovering from a devastating flood. Along with helping establish a credit union that is now the largest in the country, he worked with an indigenous community to consolidate about $10,000 so individuals could receive loans to purchase clothing, develop businesses and send their children to school. "In a lot of the foreign countries, they either have a national banking system or no banking system, just cash. Usually the national banks or the central bank systems really aren't helping the people per se. They are really there for the government," Stapp says. "They (the Ecuadorians) saw the credit union as a way to really get the people involved and collect their funds together and make loans to each other to rebuild their community and keep their dollars there locally." Since then, Stapp has traveled to Mexico, Costa Rica, Guatemala, Colombia, Panama, Brazil, Singapore, South Korea, Ireland, Scotland, Poland and Libya in support of credit union systems. Following the death of dictator Muammar Gaddafi in 2011, for example, he visited Libya to negotiate with the government about potentially starting a credit union system as U.S. sanctions were lifted. "They had a central bank but no banking facilities for the people. It's largely a cash society and it's largely a gold society," Stapp says. "They wanted to have a system where they could set up and have payments to develop businesses and their infrastructure." Stapp's efforts halted once civil war broke out in the country, but he is still hopeful about bringing credit unions to the country at some point. "When we were selling this to Libya, they were like, 'Oh, so you want to bring your credit union to our country and you want to run it,'" Stapp says. "We said, 'No, we want to teach you about credit unions and you will run it. You will be in charge of it.'" Stapp says credit unions have grown most rapidly in Central and South American countries like Guatemala and Brazil. "In Guatemala, they have an amazing system where they've combined several of the largest credit unions together and gained some efficiencies," he says. "They have about 2 million people in their credit union system out of a population of about 10 million." The World Council of Credit Unions is also working with Ukraine to help rural farmers gain access to credit unions and has helped countries like Haiti and The Philippines recover from natural disasters. Right after the 2010 earthquake in Haiti, Stapp says, credit unions were up and running in tents after three days, with currency that was flown in through the Dominican Republic. Stapp says the democratic ethos of credit unions — each member is a part-owner of a credit union and the board of directors is elected by members — appeals to supporters of democracy living under authoritarian governments. "Even in Latin American countries where they struggle with democracy with their own governments and elected officials, they see the credit union — where they elect their board of directions and they elect their manager of the credit union — really as a democratic movement," Stapp says. 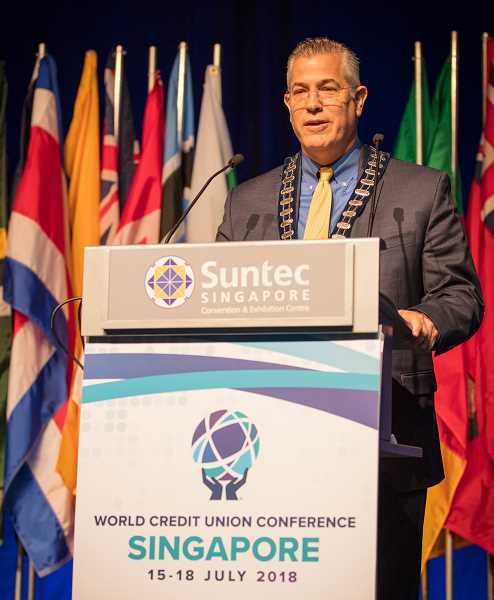 When he visits these countries, Stapp says, he works with government regulators to establish rules for credit union activity and with local leaders and grassroots organizers to begin fortifying credit union systems. In his view, credit unions are a more stable form of financing economic development in developing countries than other forms of banking. "We've had a lot of micro-financing countries roll through these international countries. They loan out money and then they leave," Stapp says. "In the credit union system, we create two facilities: one for people to save money, and also the loan facility. And it's locally managed." Though his job requires many nights away from home, Stapp says his family is supportive in part because they appreciate his mission. "My wife has been with me and we've been on the ground and we've seen how this has been life changing for these people," he says, "so they are very supportive of me in this drive to expand credit unions."